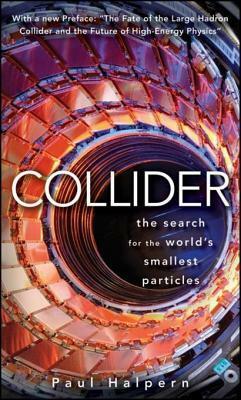 Halpern’s “Collider” tells the story of how scientists over the past century or so have discovered elementary particles, at the same time introducing the scientific methods and the people behind the discoveries. It is an informative read, and definitely a good introduction to the topic. It makes for interesting reading, as the book starts with Large Hadron Collider (LHC) and elementary particles and the hunt for the Higgs boson, but on the way to the end of the book one can also read about how and why research in high-energy physics is important for cosmologists and astrophysicists. The book is written so that one doesn’t need a background in mathematics or physics to understand most of the text. I quite liked how the chapters seemed almost to melt into one another, and Halpern doesn’t stop on one topic too long so the reader won’t get bored reading for example about only one particle’s discovery or one detector in the LHC. In “Collider” you get an impression of the scale of the instruments that are needed for cutting-edge research, and the accelerators mentioned are a good example of something that costs a lot for the tax-payer, although it’s not quite evident how the general public will (if ever) benefit from the research similarly to astronomy and ever bigger telescopes. In the end of the book Halpern also tackles the topic of some of the fears that people have had concerning LHC and the possibility of creating miniature black holes, strangelets and magnetic monopoles and whether or not they’d even have any effect on Earth. It would be good additional reading when studying elementary particle physics, to get a better feeling for the background etc.